You simply cannot leave Jordan without getting into or rather onto the Dead Sea. As it’s 430 metres below sea level, in addition to being the only place where you float automatically on the water, you’ll also be at the lowest point on the surface of Earth. How cool is that. When you’re are the shore, feel free to slather yourself with sand and salt for that perfect glow. It burns a bit, so also don’t go overboard – you’re beautiful just the way you are. Also, holding a book or an iPad when floating isn’t as easy as people make it seem… just FYI. 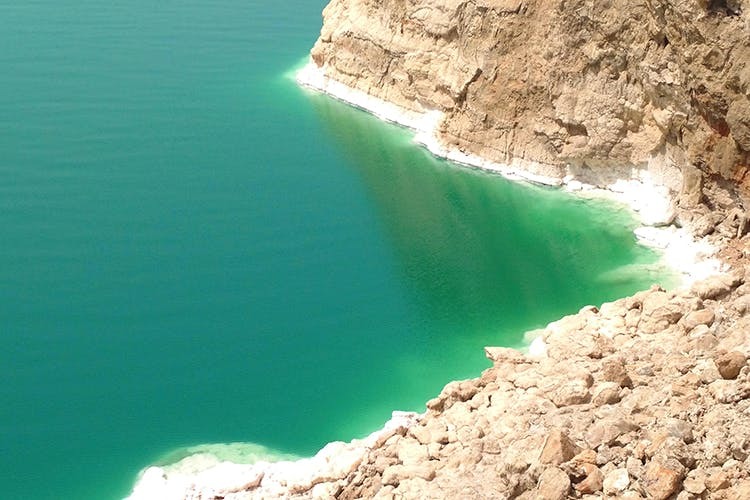 Most hotels in this area have direct access to the Dead Sea. Jordan Valley Marriot Resort And Spa was my home for the night, and thanks to the hospitality, the infinity pools that cascade into one another, and view of the Dead Sea, I never wanted to leave.